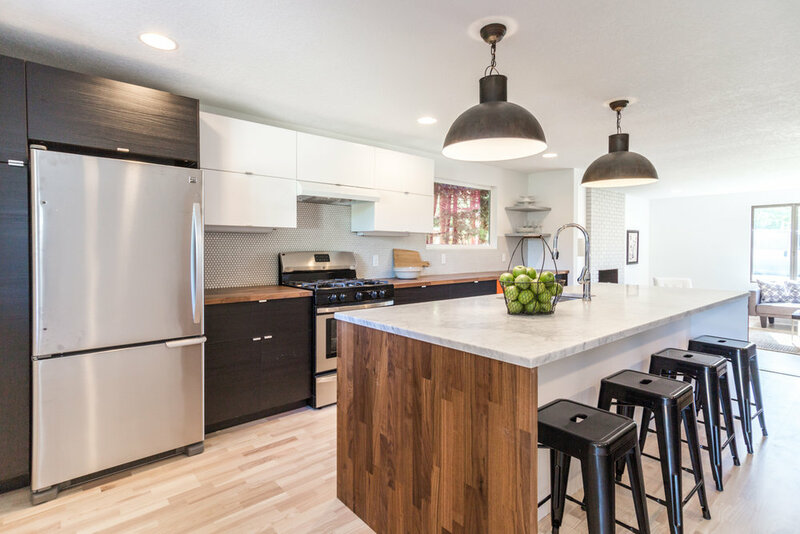 NE 55th Remodel — Clarkbuilt, Inc. | General Contracting & Carpentry Portland, OR. A Monti Fox whole house remodel in the up and coming Parkrose neighborhood in SE Portland. Every surface of this house was touched and given a new life. New engineered hardwood flooring throughout a fully remodeled kitchen along with two bathrooms. The master bathroom was reconfigured with a custom design - built vanity from our cabinet shop. The kitchen incorporated prefabricated cabinetry with custom modifications and additions.